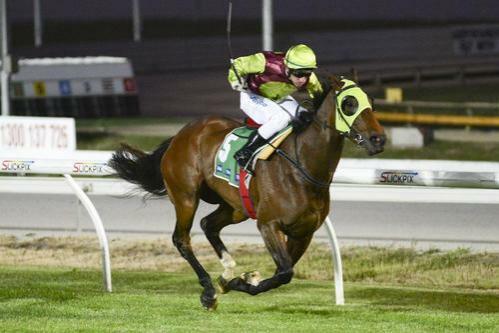 After showing early promise Gracious Goddess finally delivered and broke through with her Maiden win over 1600m at Cranbourne tonight. She started the tasty odds of 26/1 and was given a 10 out of 10 ride by jockey Dale Smith to come from last at he half way mark to hit the front on the turn with a searching run and power away from the opposition. Congratualations to our fellow owners John Brooks, Dorrington Park, Michael Kim, Rupaih Racket Syndicate, Yallambee Stud, David Baker, Robin Blackman, Allan Blankfield OAM, Gavin Buckley, Alberrt Catanese, Leigh Farrow, Alan Kewley, John Logus & Steve Matheson.